The DSF Reiher III is 384.0 KB. Larger files take longer to load. This is the DSF Reiher III listing page, here you can download the plan, article and see the main thumbnail and extra images. 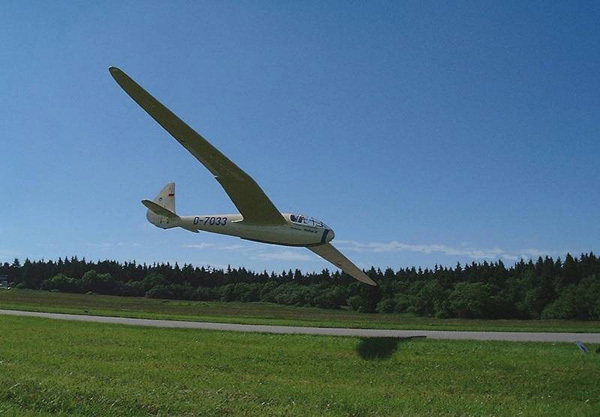 a single seat competition glider designed in Germany by Hans Jacobs and first flown in 1937. The type won the last two German Rhön gliding championships before the start of World War II. Six were factory produced. not for beginners, requires some construction experience. model flows in the thermals. These are the details for the "DSF Reiher III" plan. If you would like to become a plan editor and help us to edit the attributes of all the plans in the website please click the "Edit Attributes" button below. Order your DSF Reiher III prints today! The DSF Reiher III plan can be printed on plain paper, tracing paper or polyester film and shipped worldwide. I will calculate a price upon request, please contact me here mentioning this PlanID: 97391 and the job you wish me to do. I'm a big fan to of vintage glider, I do have more plans of several sail planes. If you have troubles uploading please let me know.